Village charm and located at the heart of a ski resort? Sounds attractive, doesn’t it? 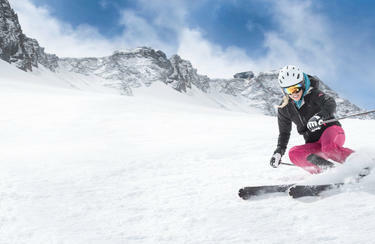 The Swiss Alps invite you to enjoy all kinds of snow sports activities, but also to sit back and relax. 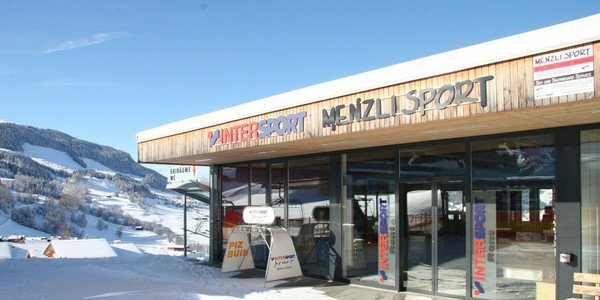 The right equipment for a perfect winter holiday is what you’ll find at the INTERSPORT Rent ski rental shop in Obersaxen Meierhof: competent advice and the best gear at affordable prices. 120 kilometres of pistes stretch between 1,200 and 2,300m altitude – this ski resort boasts both challenging and easy downhill runs. 17 transport systems carry both beginners and experts to these exciting pistes. Even when the sun sets, fun is guaranteed: experience the enchanting Obersaxen Meierdorf at night on two lighted runs. Such a speedy ride into the valley couldn’t be more exciting: tobogganing is very popular in Obersaxen Meierhof. The marked toboggan runs stretch to a total of 35 kilometres and promise an adrenaline rush combined with a fairytale panoramic view. You’ll find protective equipment at INTERSPORT Rent in Obersaxen Meierhof. The excellently trained team is familiar with the safety rules for off-piste fun. Do you still have questions about a holiday in Obersaxen Meierhof? Then stop by the INTERSPORT Rent ski rental shop. Our winter sports experts are happy to help you.